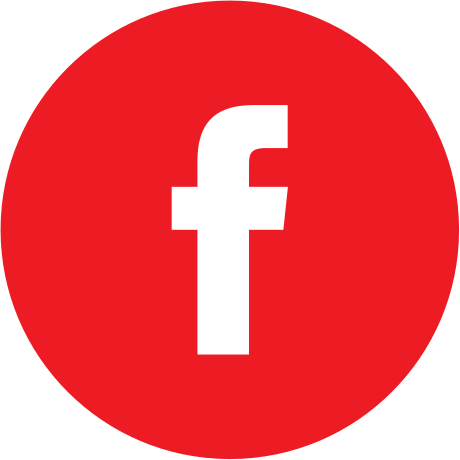 SRI Inc. | Steve R. Rauch Inc.
Our organization offers three different services for it's customers. The first service we offer is gravel sales. In 2009, SRI started recycling concrete on a full time basis. We take concrete and process this material through our state of the art custom EAGLE 1600 crushing plant. SRI currently has two EAGLE plants located in the greater Dayton area. One of those plants, the EAGLE 1400, is a portable plant that can be jobsite ready within a weeks time at your location to handle your crushing needs. SRI also incorporates another state of the art machine to further our concrete recycling process. This McCloskey S130 screen plant take the guess work out of gravel and conveniently screens two popular stones. It produces 304 and #2 stone proficiently and environmentally friendly. SRI also handles post-processed material straight from the crusher that our customers use for road beds and other applications that do not require a true processed material such as the 304 or #2 stone. 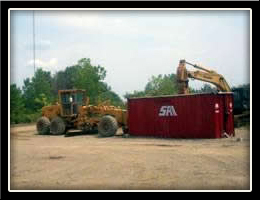 The second service we can offer roll off container rental for boxes of 30,40, or 50 yards in size. We are unique in this aspect because we offer one price which includes the delivery, rental use for 14 days, pickup, and disposal of the debris. 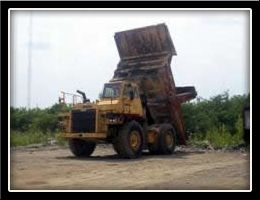 The third service we offer is the use of our construction and demolition (C&D) landfill. We have one of the only certified C&D landfills in Montgomery county which is able to accept debris from it's customers and is also utilized by our demolition company.